Since our inception in 1993, we’ve provided a number of products and services to help businesses improve their visuals and marketing. We have eight different Web sites incorporating various product lines and services. You have one shot at making a great first impression. With a Web site, that first impression is made in under a second. What kind of impression does a poorly designed and difficult to navigate Web site create? Does your first impression make people move on? Or are site visitors instantly engaged and want to see more? Let us help you create a Web site that gives a great first impression. 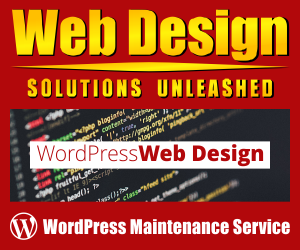 Visit Web Design Solutions Unleashed! 80,000+ vehicle templates available to vehicle graphics experts worldwide! The combination of extensive North American, European and Asian collections ensures that customers have the vehicle templates they need for designing vehicle wraps. With these to-scale vehicle templates (1:20 – scale), it takes just a few seconds to design professional vehicle lettering and wraps. Go to Vehicle Templates Unleashed to get the templates you need! CorelDRAW users will find the resources they need on our CorelDRAW Unleashed site. Improve your skills with our tutorials and multimedia training courses. Enhance CorelDRAW with powerful add-ons and enhance your design arsenal with clipart, textures, brushes and more. With 3500+ posts covering over a decade, the Graphics Unleashed Blog is a wealth of information for users wanting to get the most from graphics software. You’ll find tips, tutorials, hardware, software, artwork & much more. Don’t miss a single post! Subscribe for free to a weekly digest, daily posts or both! Seamless textures tile infinitely without visible seams. They’re also known as tiled backgrounds, bitmap patterns, seamless patterns or seamless tiles and more. Fill any sized area with the seamless texture of your choice. Textures are not operating system dependent and work with all software that supports seamless textures/patterns. Visit Seamless Textures Unleashed to see thousands of downloadable textures! Foster has put some of his best photos online for you to peruse, purchase and print. New photos are being added regularly, so make sure to check Foster’s Photos often. You’ll also find authentic Nelson Mandela ballots, a great historical collector’s item. Loreto Bay, Mexico is in an upscale development along the beautiful Sea of Cortez. The resort community features a golf course, tennis center, spa, swimming pools & a very short walk to the beach! Go to Loreto Bay Home Rental to learn all about the community and things you can do during your visit. Foster is a huge fan of his alma mater, the Kansas Jayhawks, and he has a blog dedicated to their exploits on the football field, basketball court and the baseball field. Visit Rock Chalk Unleashed and get the latest on the Jayhawks! Looking for unique apparel and other customized items? We’re offering our artwork on tshirts, hoodies, phone cases, mugs, notebooks and much more. Find your favorite artwork in our artwork portfolio and look at all the different items available with that artwork. You choose the art, you choose the provider and you’ll soon have our artwork on a piece customized just for you! © 2016-19 Unleashed Productions, Inc. All rights reserved. 480-595-0065 · Web Site Design & SEO By Unleashed.